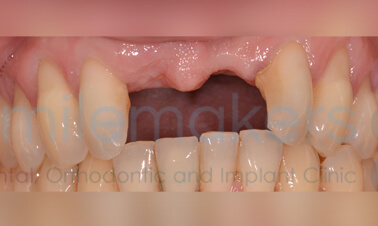 Replacement of a missing canine tooth with a dental implant is a technically demanding procedure, requiring very precise planning and implant placement. 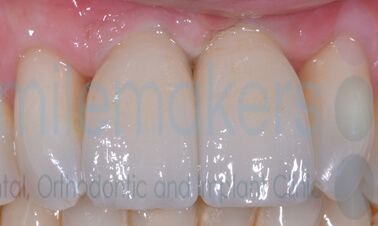 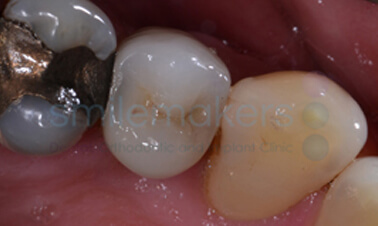 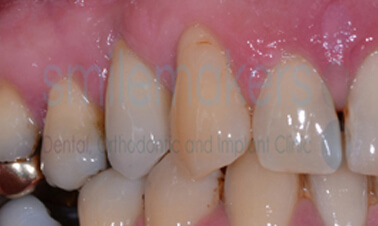 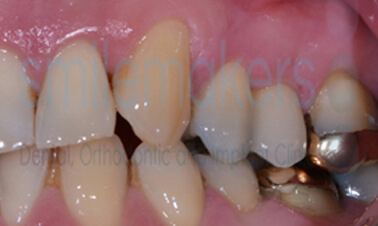 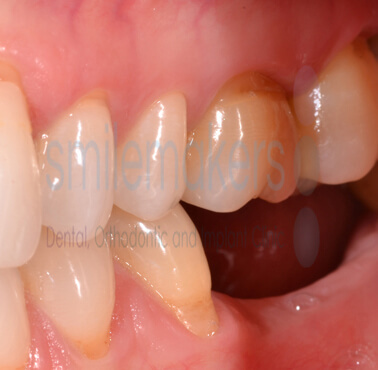 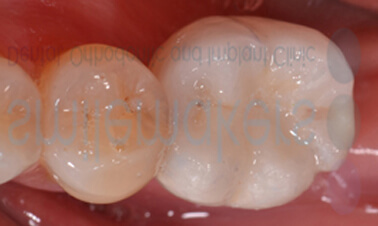 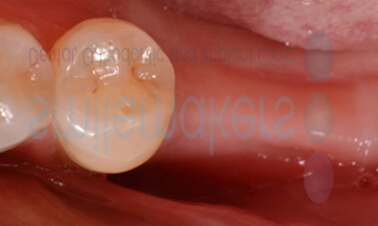 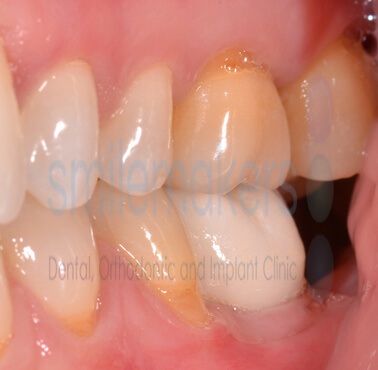 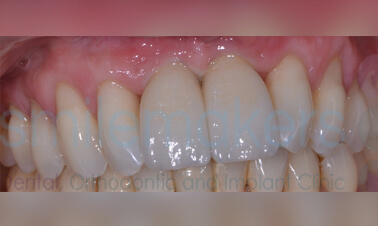 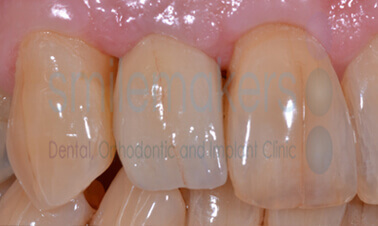 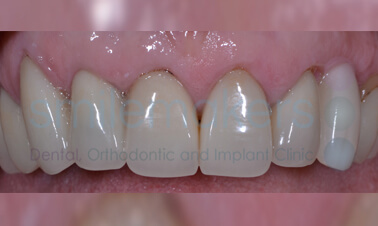 As this case shows, beautiful and long-lasting results can be achieved with a dental implant crown. 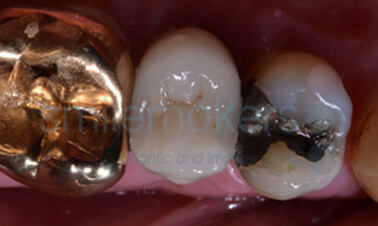 A root left behind from a lost crown can present an aesthetic challenge. 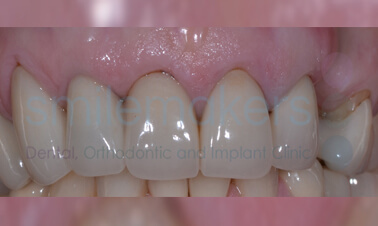 Careful planning and precise implant placement in combination with beautiful ceramic work can give a very natural result, as in this case. 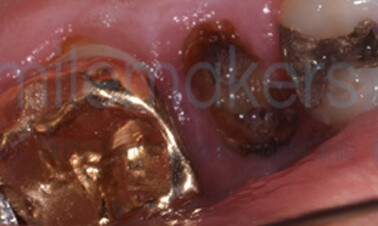 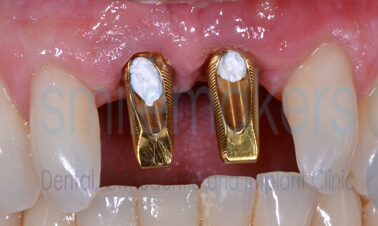 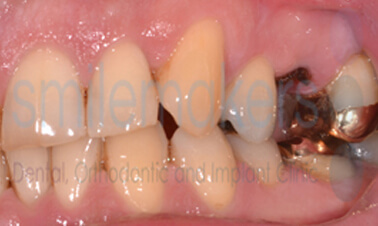 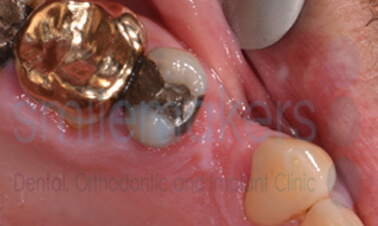 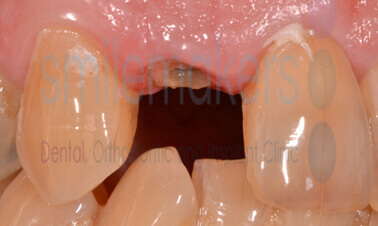 In this case, a premolar on either side of the mouth was replaced employing a mix of immediate and delayed implant placement techniques. 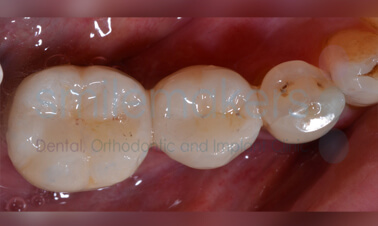 Having missing molars can severely impact the ability to chew and enjoy food to the fullest, in addition to increase the stress on the remaining front teeth. 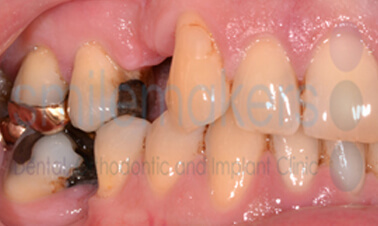 Placement of a dental implant, as in this case, can make a huge difference to the recipient's quality of life.